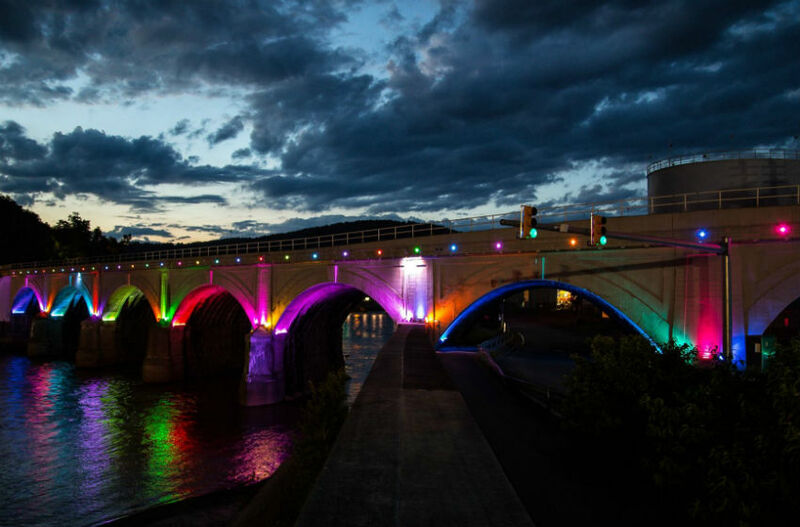 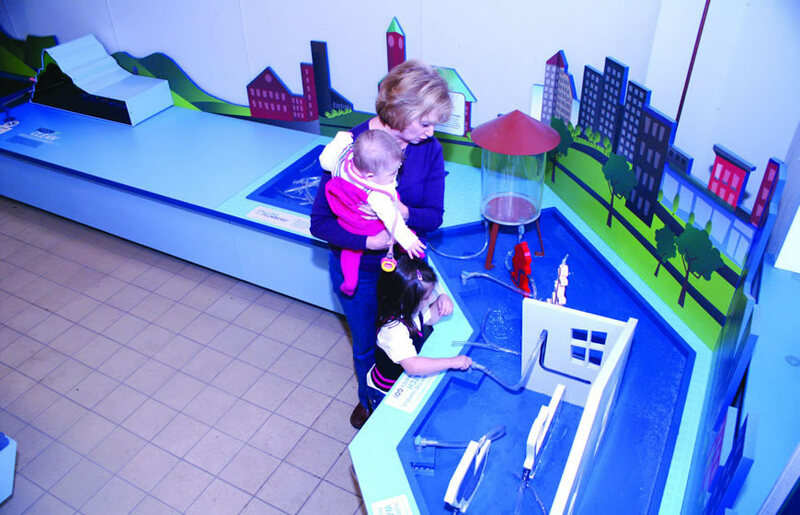 Learn through play about Johnstown and its culture. 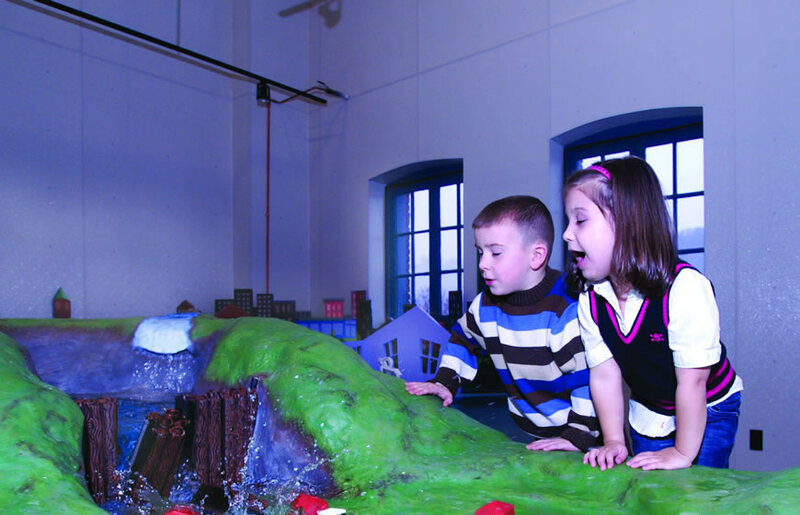 The Johnstown Children’s Museum features a variety of hands-on, interactive exhibits that allow kids to learn through play about Johnstown’s geography, history, culture, ecology, industry and more. 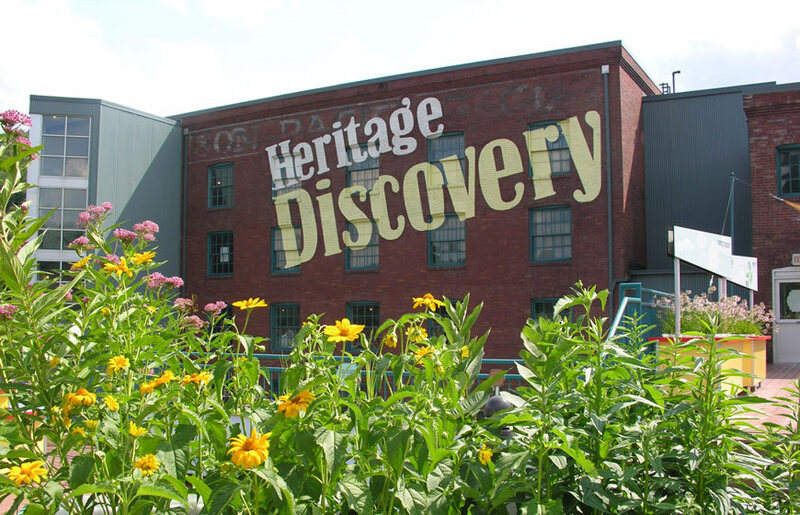 It’s located on the third floor of the Heritage Discovery Center. 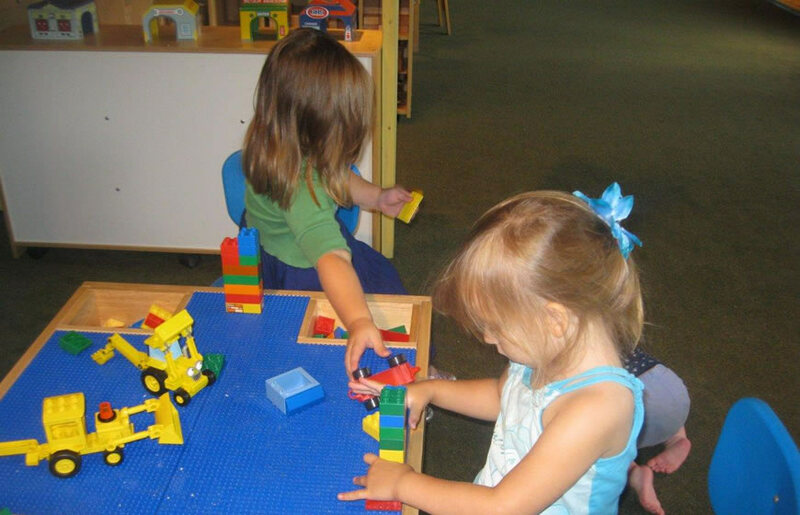 The museum features several areas with big blocks, Lego building bricks, and wooden trains for free play. 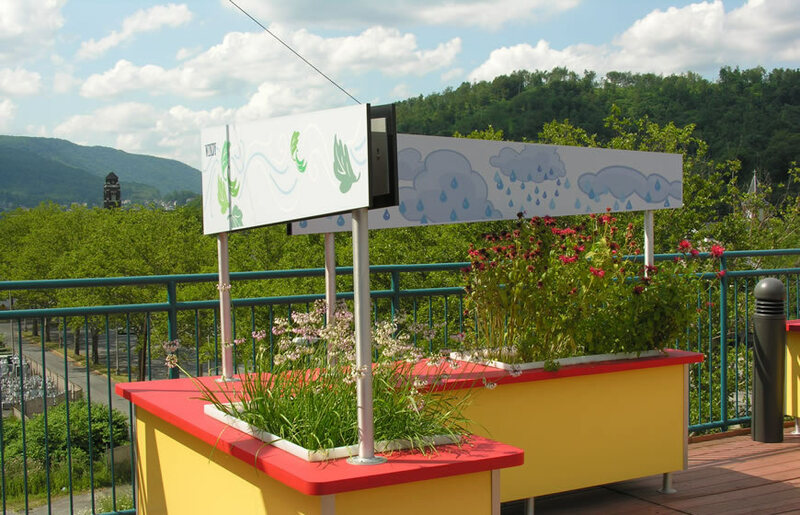 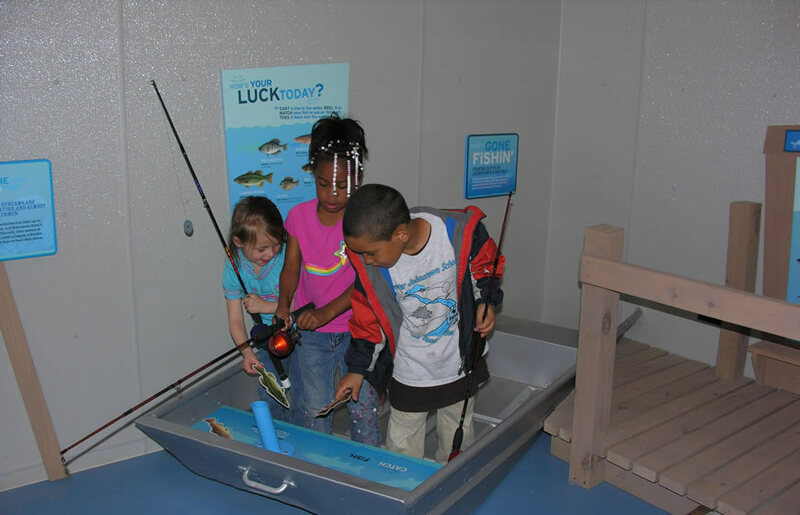 Most of the water room’s exhibits allow children to play with water, for hands-on learning about concepts like dam-building, municipal plumbing, rain in mountains and valleys, acid rain, and native fish. 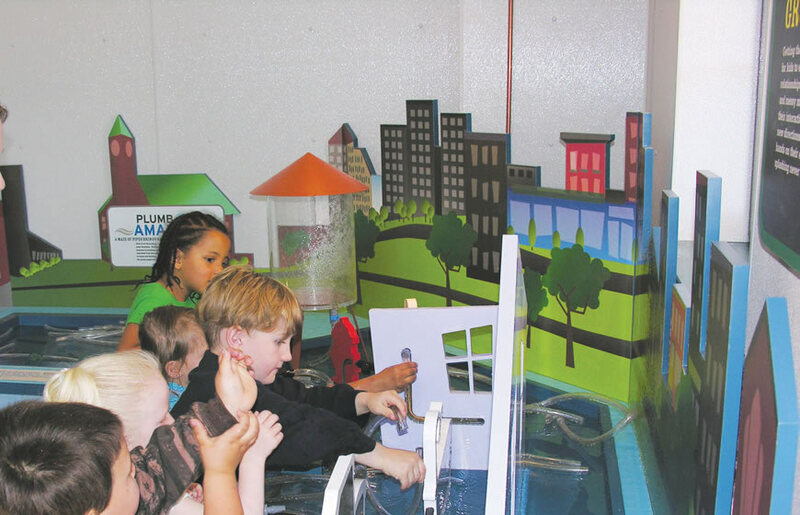 Hand dryers will help kids dry off after the fun. 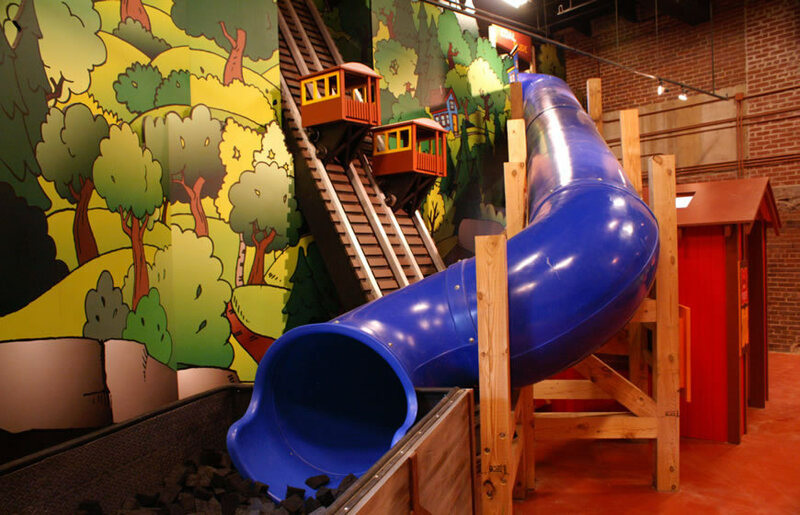 The climber is a huge reproduction of Yoder Hill, including mine tunnels to climb high toward the ceiling. 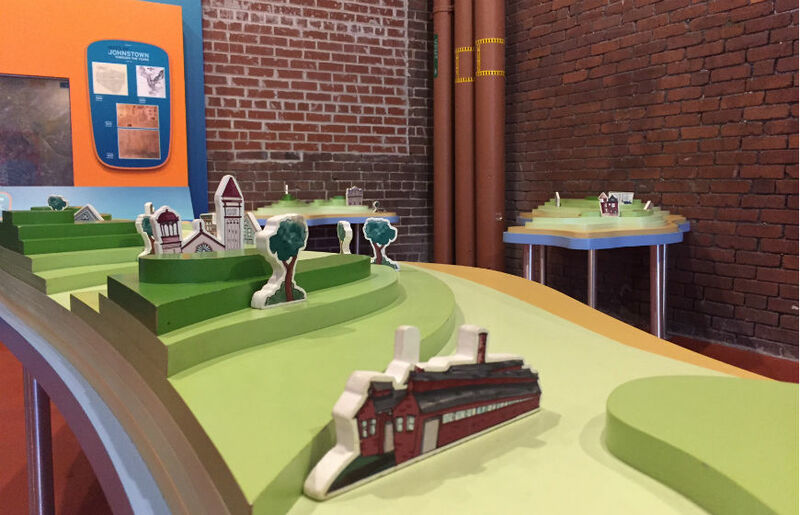 Inside the “mine,” kids will have the opportunity to dress up like coal miners, including hard hats with lights, orange vests, and (plastic) coal picks! 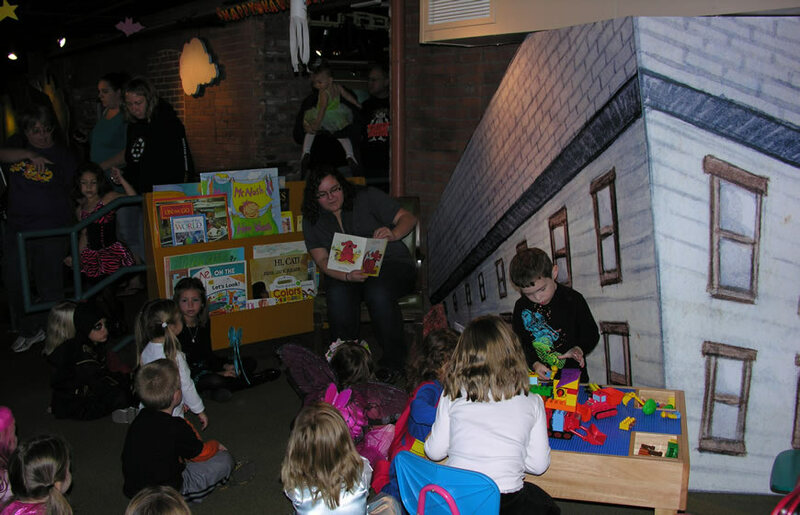 An experienced coal miner will talk to you about safety, exhibits about the kinds of rocks found in a mine, and “talking artifacts” — including a miner’s lunch pail. 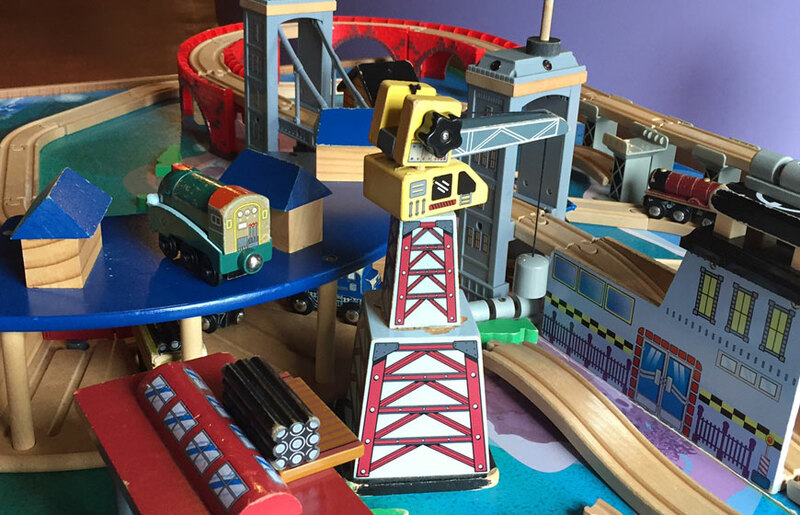 Watch out for the talking mine rats! 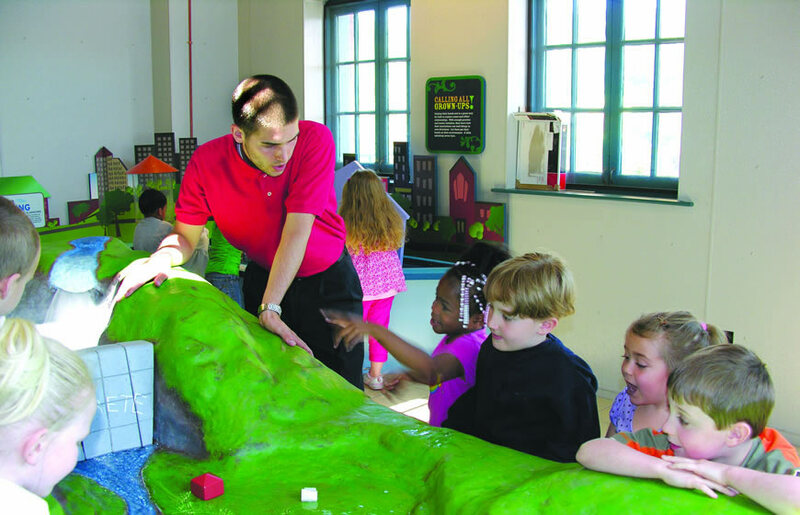 When you reach the top, take a “coal shute” slide down, where you’ll land in a padded coal car that’s full of “coal.”The Inclimber also features a replica of the Inclined Plane — go into the red control house to make it go up and down the hill! 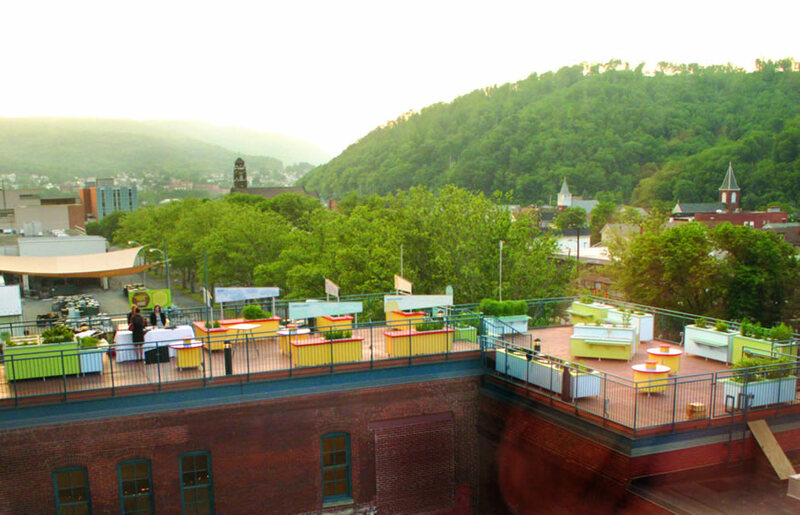 Compare maps from different periods in Johnstown’s history. 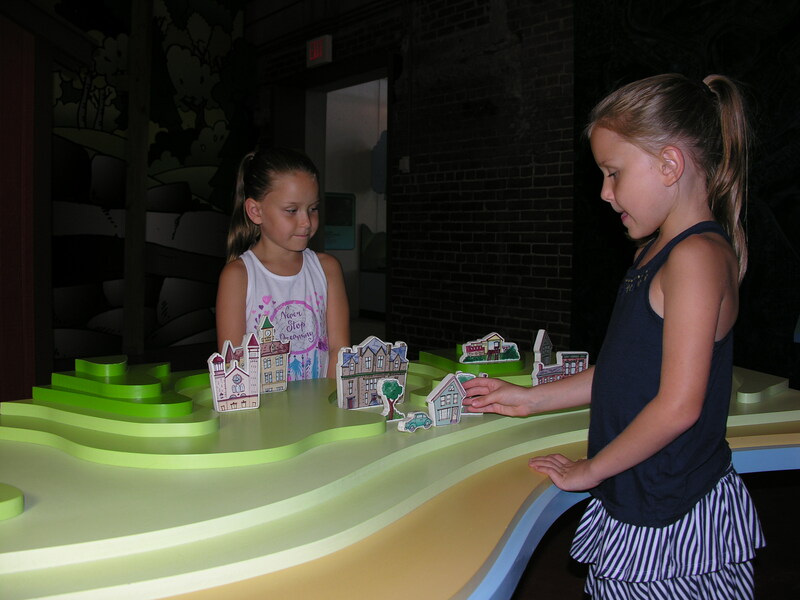 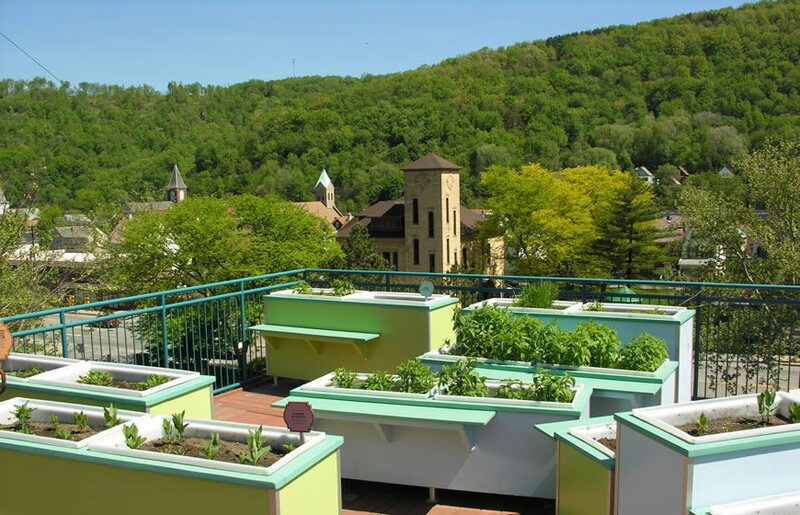 Try your hand at laying out a city in the hills, using special tables that reflect Johnstown’s topography and models of houses, industrial buildings, landmarks and more. 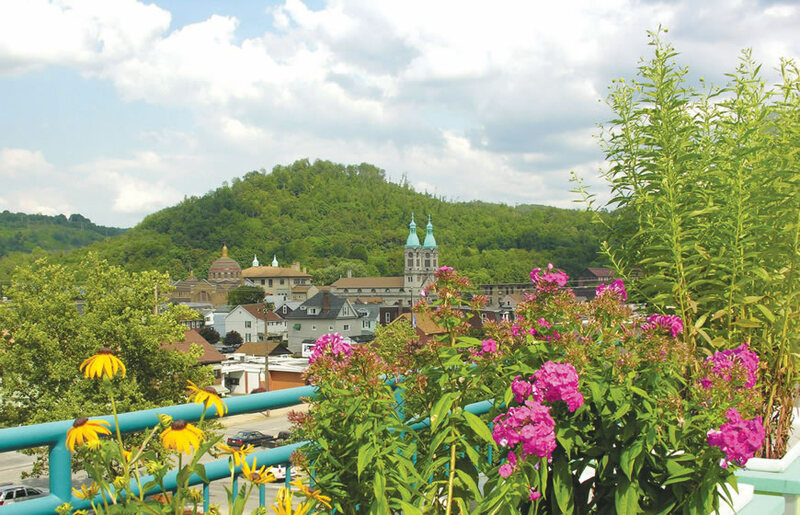 The steel industry has played a vital role in Johnstown’s past and present. 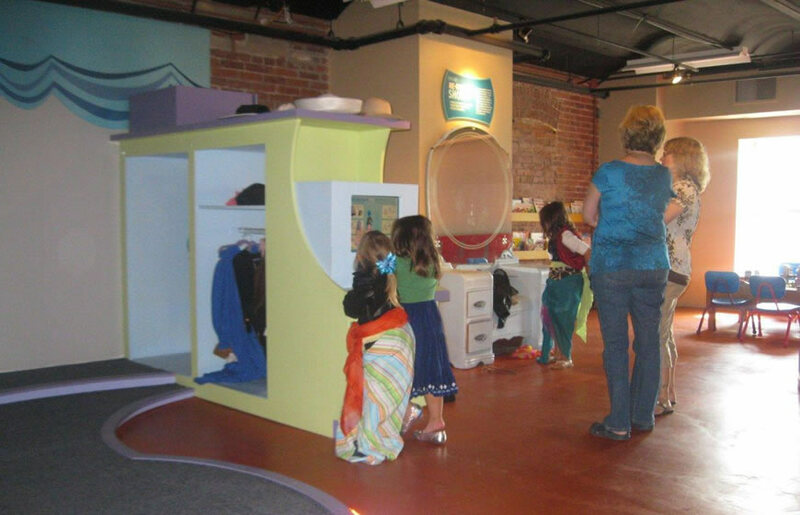 In this section of the museum, kids can try their hand at making pattern molds, roleplay being the boss or worker with costumes, and more. 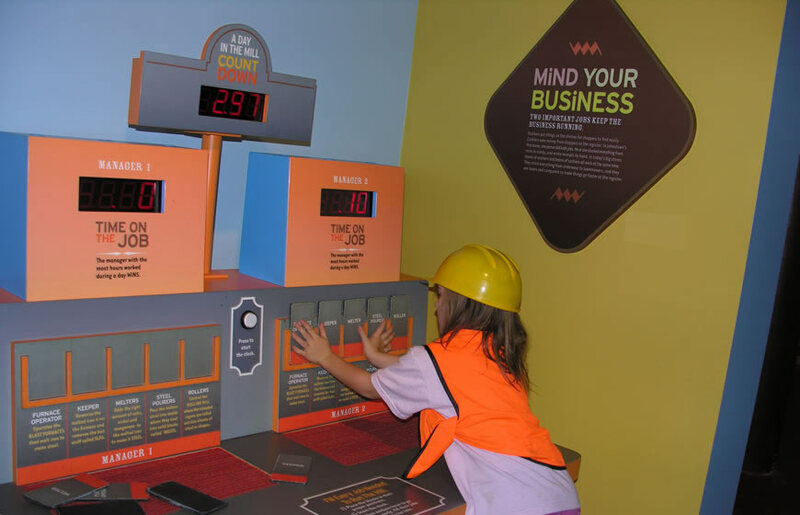 One of several features in the steel mill area is this game for two — see who does the best job managing a steel mill by keeping all the jobs filled during every shift! 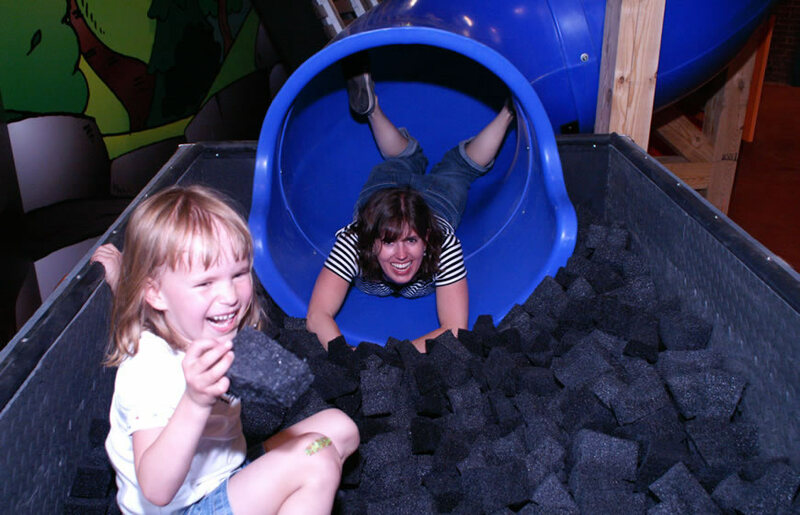 Wait, it’s a lot harder than it looks. 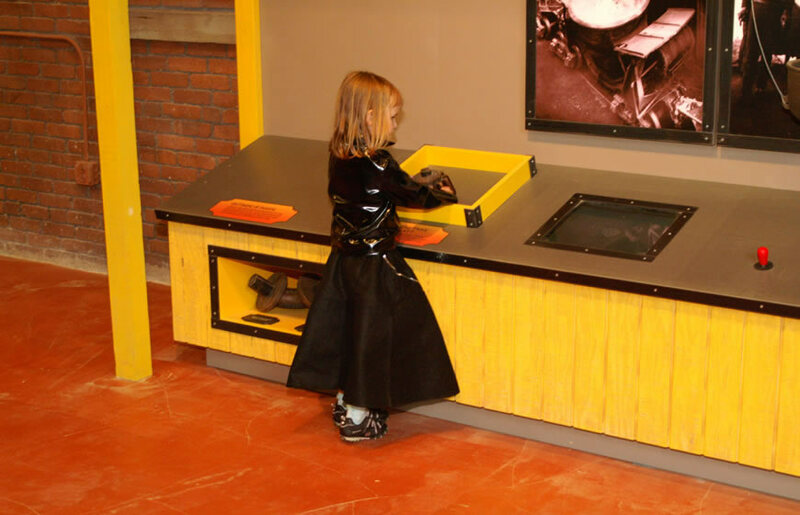 . .
A play kitchen, complete with displays of historic kitchen equipment like an antique coffee grinder! 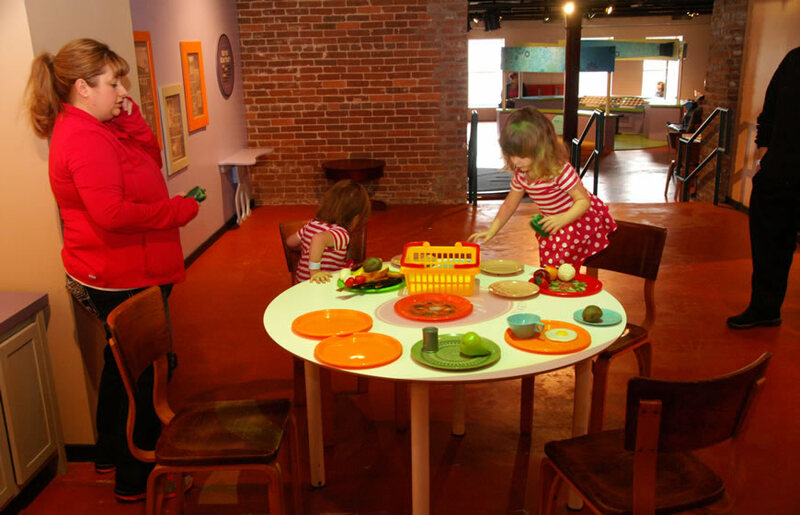 Kids can “cook” and experience some of the special food traditions of this region through a fun free play area. 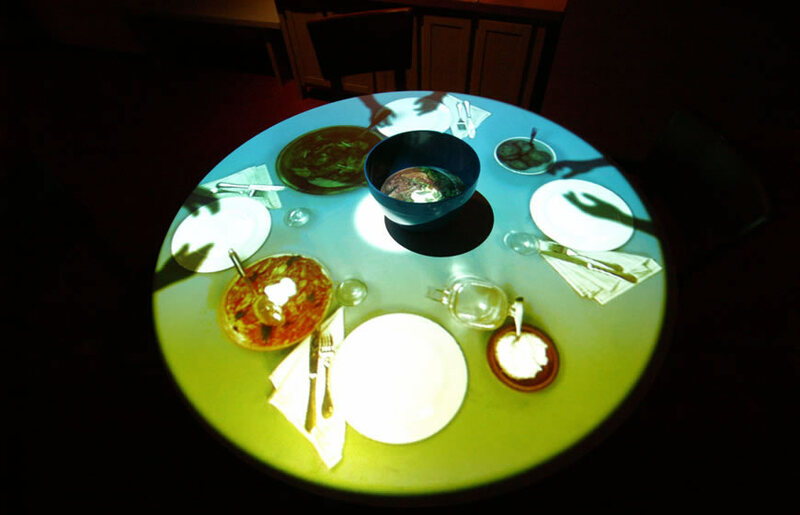 Pick one of three ethnic dishes to “serve” on this special kitchen table, and a projection is shown — you’ll eavesdrop on the family’s conversation, and see what else they’re having for dinner. 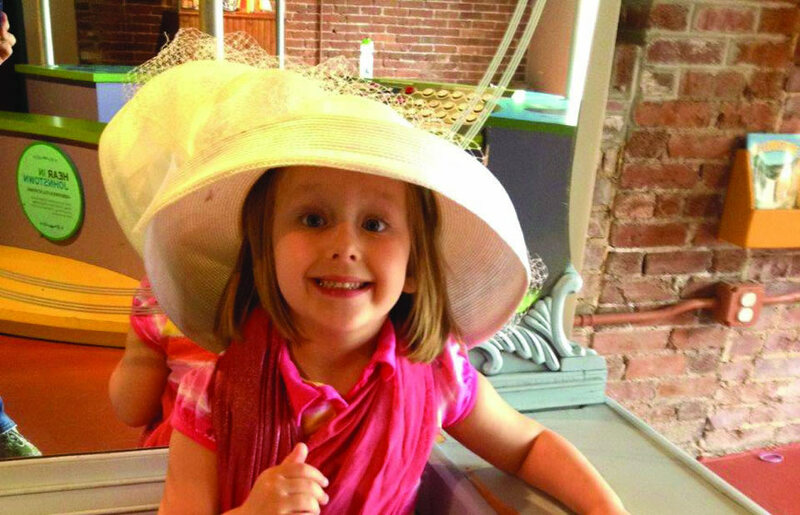 Kids are given a “paycheck” and invited to shop for what they need — will they have enough money to purchase everything? 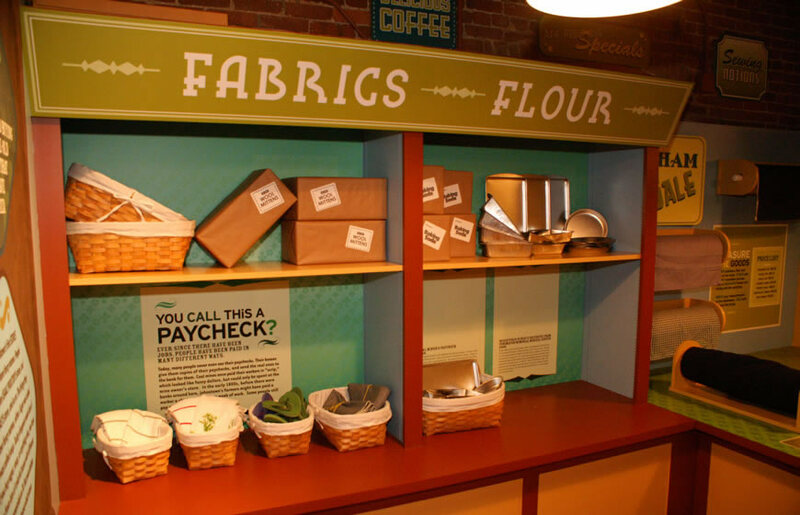 Be a shopper or a cashier and practice your math skills! 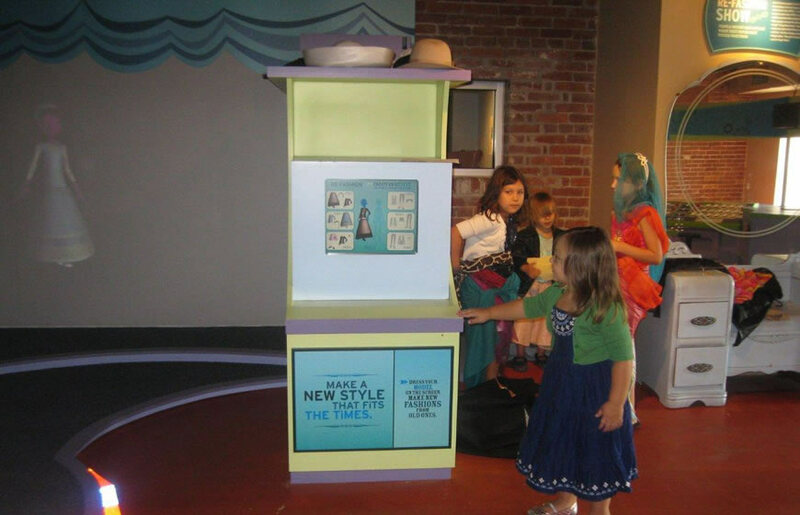 Kids can use a touchscreen to mix and match outfits from the 1700s, 1800s and 1900s; when they’re done, a computer-generated figure “walks” out onto a projection screen wearing the outfit they’ve chosen. 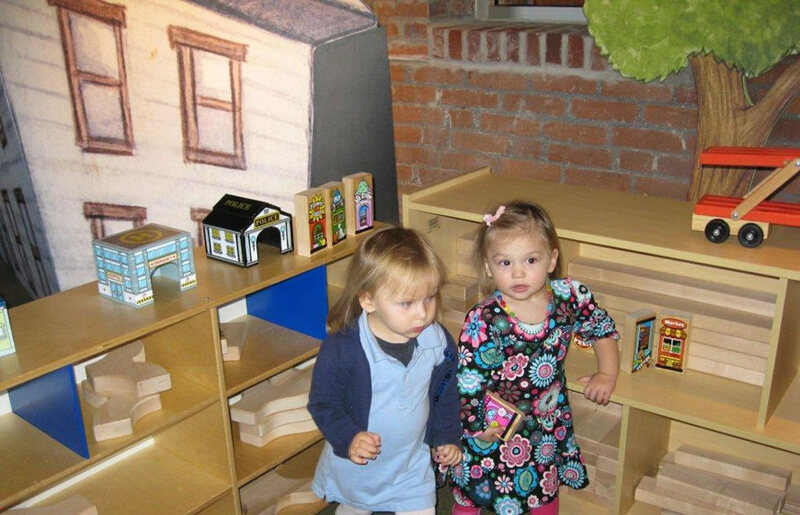 Kids can then choose matching dress-up clothes and walk out on a lit runway themselves!